But Jakob, if you’ve only got one of those rectangular transparent things, does the current Microsoft UI metaphor still have anything really meaningful to do with windows, singular or plural? What the Windows 8 design philosophers have realised, is that it is possible and beneficial to surrender complete sovereignty over the ‘operating system look and feel’ to the ‘unpolluted design aesthetic’ of a mobile app. The best mobile apps ‘dominate every screen’ with crisp, highly optimised designs which successfully exclude any detectable features of the mobile device’s underlying operating system from any part of the app user’s experience. Have they just taken the whole ‘content is king’ thing too far? In order to allow an app’s content and function to reign supreme over every pixel of the screen, which is supposedly an imperative driving every conscientious mobile app designer, the app developer has to uncompromisingly banish any visible evidence of what we antiquated technological fuddy-duddy types used to naively call an Operating System Interface. This ‘scorched earth’ approach systematically eliminates any excuse for clutter, crudeness and messiness, unpardonable crimes of interface design which Apple devotees have used as a stick to beat Windows with ever since the very inception of Windows in 1985, a year after the launch of the Mac. The new Microsoft Metro/Modern UI astonishingly manages to embarrass Apple on this front, turning the tables by making Apple look older, more ‘computerish’: Windows 7 has not just disappeared and reappeared with an incremented version number: most of it has come back quite literally invisible and in certain strategic app-related senses, non-existent. What aspiration for design purity can possibly compete with the unarguable perfection that is nothingness itself? Microsoft has become so electrified by the unquestionable edge that this philosophy confers upon software, that they have decided to invoke a derogatory epithet for ‘visible evidence of the operating system design aesthetic’. They label this detested and execrably obtrusive stuff ‘chrome’ (with a small C). Make any tangible manifestation of the ‘operating system interface’ go away, either completely and irrevocably, or until explicitly summoned by some intriguingly mysterious user-initiated gesture, and even then, only appear fleetingly and once used, return swiftly to the void from whence it came. Microsoft’s Operating System, traditionally characterised by Apple advocates as looking inescapably bombastic and clumsy compared to Apple’s peerless elegance and minimalism, has now turned the tables by becoming a more elusive, perhaps even unassailable target for the visual design critic than anything Apple has ever made. And on a small screen, where every pixel counts, that stuff which Microsoft calls chrome certainly can get in the way of content. The ‘stuff’ that makes buttons look like buttons: edges, shadows, 3D shape, photo-realistic detail; anything that ‘decorates’ anything (like a button) that is a ‘control’ (rather than anything that constitutes content) is all now demonised as being intrusive and anachronistic chrome. That chrome stuff is superfluous, pernicious. Evil. It must go. Ceci n’est pas un bouton. On a bigger screen, chrome doesn’t necessarily get in the way quite so much (which is why nobody made any great effort to get rid of it until the emergence of mobile apps). But in the interests of consistency, Microsoft has banished it at all screen sizes: fancy addressing this by having a chrome-free design for mobile but a chrome-retaining design for your desktop PC? That’s two completely different designs for each app that you’d be asking for, we’re definitely not going there. Requiring two designs for every Windows app is an unacceptable move backwards, especially for software developers, so instead the users will just have to get used to not having all that reassuringly familiar chrome lying around. But there’s another positive side to chrome: get rid of it, make the app supreme, make everything feel like it is nothing but content ‘edge to edge’, rather than having ‘obtrusive elements of design’, make the design invisible and suddenly the screen starts to seriously hate multiple apps: all concerned are punished mercilessly for wanting to violate the solitary app’s sacrosanct expectation of having the screen all to itself. A mobile app’s design is the very epitome of anti-social media, as far as ‘not gracefully tolerating other apps on the same screen’ is concerned. Two apps or more require (at the very least) clearly demarcated visual boundaries between them. They need to be able to share a visual space in which none of their individual designs or content is king. A demarcated boundary is unspeakably ‘chromey’. It is ‘visible stuff outside the perimeter of a content-only design’. And in contrast with the ethos of ‘chrome hiding/eliminating’, the more you do to make the boundaries invisible or self-effacing, the more confusing and difficult you make the experience of trying to cope with having multiple apps on screen at once, which is something that having a nice big monitor was originally intended to facilitate. It may turn out that chrome, in some form, is essential to a productive and comfortable multi-app user experience. Apple, surveying this scene from a safe distance, is probably grateful that they never ‘went all the way’ with ‘going full-on designer-absolutist’. 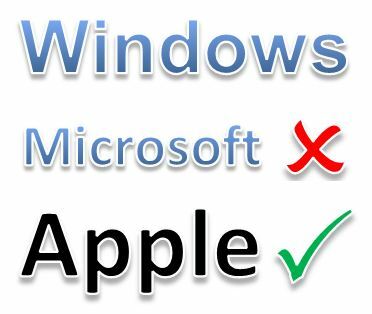 Because Microsoft has ironically ended up in a place that history would tell you was exclusively reserved for Apple. They have crossed the event horizon of design and now inhabit a world of something approaching operating system interface self-abnegation. The irony is that they are now confronted by a paradoxical new design issue. The very aspect of the operating system interface design that doesn’t want to get in the way of the user experience of individual apps, gets in the way of the user experience of multiple apps. There seems to be a need for a new kind of chrome, er, treatment that makes multiple apps as easy to handle in an otherwise chrome-free environment as they were in one which was fully chrome-plated. My own suggested fix is probably impractical: yes, you do need two designs for every app, one accommodating chrome and one which excludes it. Maybe you also need to come up with a new design for chrome which is suited to juxtaposing and interacting with multiple ‘content-dominated designs’. The problem with ‘reintroducing chrome into Windows 8’s Modern UI in order to make multi-app experiences work’ is that you seem to need to break the most essential feature of the entire scheme. Currently even the operating system’s own ‘controls’ and ‘interface’ are intended to be as chrome-free as the apps, for the sake of consistency. A profound design problem is as hideous when it looks insoluble as it is beautiful once you’ve solved it. The chrome paradox is not just worth solving, it’s probably indicative of emerging design problems in the world which result from the increasing need to provide seamless, malleable, broadly applicable, sensitively self-configuring, multiple use-case interfaces which facilitate interaction with other more tightly specified use-case-specific product and service interfaces of ever increasing complexity and sophistication. In other words, whatever its initial shortcomings, the leap forward in UX sophistication that the new Microsoft UI design philosophy represents addresses problems which are intrinsic to the future of all operating systems which are aimed at addressing the scope and scale of applications and platforms that Windows currently serves. Apple, Android and Linux operating system developers will also be confronting exactly the same requirements going forward, and whatever their solutions, they will undoubtedly have much to learn from Microsoft’s pioneering endeavours on the UX design frontier. Microsoft have, whatever the outcome, created a substantial new design language for their operating system and their app developers. It’s unlikely that others will not follow. To be honest, I’m putting my money on Apple’s response to this UI being not that much less of a shocking change from their current one. Will 'talking to the camera' continue to leave us mesmerised?